“Women of color are essential to our mission to advance equity and justice for all,” said Teresa C. Younger, President and CEO of the Ms. Foundation. 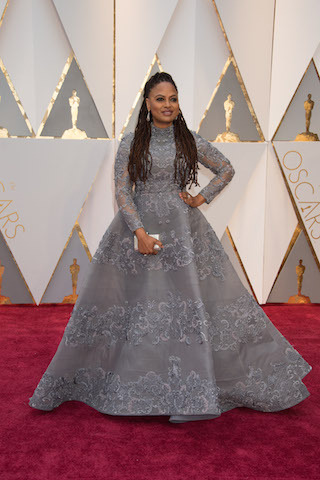 Today, the Ms. Foundation for Women announced that they will honor Academy Award-nominated director Ava DuVernay at the 30th annual Gloria Awards: A Salute to Women of Vision. The event which will be held on Thursday, May 3rd, in New York City will also honor former Editor-in-Chief of Teen Vogue Elaine Welteroth. The Gloria Awards recognizes leaders who have made an impact on the gender justice movement at the local, state, and national level. Director Ava DuVernay (“A Wrinkle In Time”) will receive the Woman of Vision Award, honoring feminist leaders who create positive change, and Welteroth will receive the Marie C. Wilson Award, named after the former CEO and President of the Foundation to recognize young, trailblazing feminists. In addition to its honorees the Ms. Foundation will honor three leaders who have impacted the women’s movement in unparalleled ways. Monica Simpson of SisterSong, Shannan Reaze of Atlanta Jobs With Justice, and Joanne Smith of Girls for Gender Equity will be recognized for their work in the fields of reproductive justice, economic justice, and women’s safety, respectively.